I shared one of my Permaculture designs on this blog in the spring. It was a redesign of the food growing spaces in my back garden with the aim of providing us with something to eat on four days out of each week from May till September. Here is a reminder of how that design looked. I have also been sharing my monthly garden updates to keep track of how the garden is looking and progressing throughout the year. I am now coming to the end of the growing season and have been looking back over the design and how it worked out this year. I have looked at the garden features I had planned and the foods I had planned to grow. I have done a PNI analysis. Each item has also been graded from 10-1 with 10 being best. Items scoring under 5 will not be included in my garden for 2015 unless I can justify why they deserve a second chance! Polytunnel 0 Decided against this as the site proved unsuitable as it is too shaded by overhanging trees. New Pond 0 Again the suggested site was too close to trees so the pond would fill with leaves each autumn. Also my children created a den behind the chicken run that required access over this area. Sectional chicken run 7 Works great in space b the shed, can open it up to let the hens forage behind the greenhouse too. Not used for chicken tractoring as yet, but plans to do so over this winter. Raised beds 9 Great success, easy to make and maintain, very productive, great use of sunny part of garden, kids enjoy helping me. Key hole beds 3 The woodchip paths rotted very quickly, the space is under trees so not great for annual veg. Difficult to access. Redesign as forest garden in 2015? Water storage and capture 7 New tanks installed and collection off shed and overflow into pond. All functions well. However my son learnt to open the taps this summer and kept draining the tanks. Wood store 6 Lots of wood storage spaces in garden now. We don’t need to buy in any wood this winter. Pots on patio and deck 7 Looked lovely all summer and productive for herbs and cut flowers. However, v hot sunny position so lots of watering was required. Table and chairs 8 New table and bench seating created out of reclaimed timber. Easy to crate seats up to 12 people. Kept on patio not lawn in the end seemed more practical option. New lower fencing 5 I lkie it as it lets more light in and hopefully it will stand up better to winter storms. Our neighbour did not like it and put up a 6 foot fence along the remaining boundary would not consider a lower fence. Pear trees 4 Still establishing, spots on leaves diseased? Jerusulmn artichokes 8 Useful plant, lots of tubers but I don’t like eating them and fed to hens. Useful poles in garden. Per.onions- various 6 First year so still at trial stage but hopeful. I have looked back at the five key functions I wanted my garden design to fulfil. They were; food production, attracting beneficial insects, water capture and sustainable usage, soil improvement and places to sit and enjoy the garden. Food production See notes above and below, the garden was pretty productive for a relatively small space and I am pleased with the amount of food i was able to produce. Attracting beneficial insects I planted lots of flowers and herbs. I left wilderness areas and log piles. 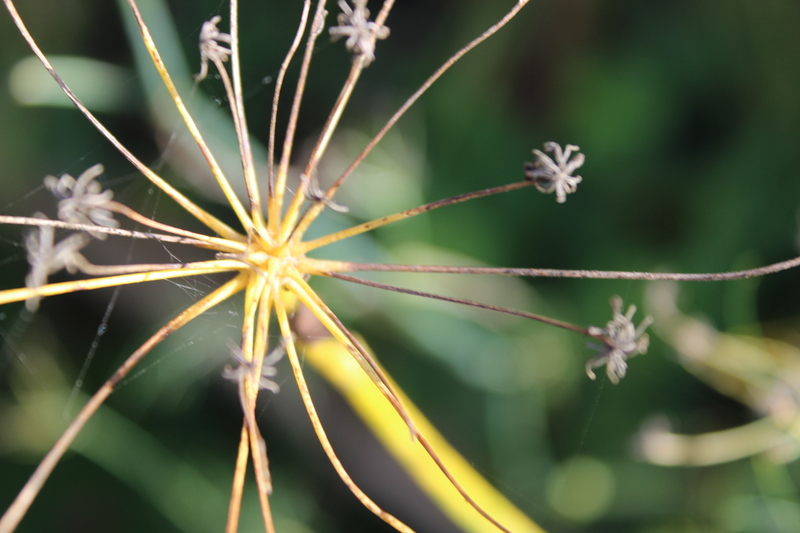 I could have concentrated more on this function but I felt the ecosystem in my garden is pretty well-balanced. Water capture and sustainable usage New water capture and storage systems installed. See table above for details. Soil improvement I worked on mulching, green manure, composting and sheet mulches this year and I have started to learn what works and what does not work so well in my garden. Places to sit and enjoy the garden. New table and bench seating created. I was gifted a bench, we made seating from timber around the firepit. I definitely enjoy my garden and would often rather hang out in my outdoor space than venture out into the wider world! I have looked at the food diary that I kept from May-September to see if I achieved my goal of eating something from my garden four days out of each week. Most weeks did achieve this goal, excluding those when we were away on holiday. Most harvests were small, with homegrown crops being pleasing addition to a meal rather than the bulk of what we ate. Salad crops and herbs did well as did fruit especially figs, currants and cooking apples. This is what I harvested each month. 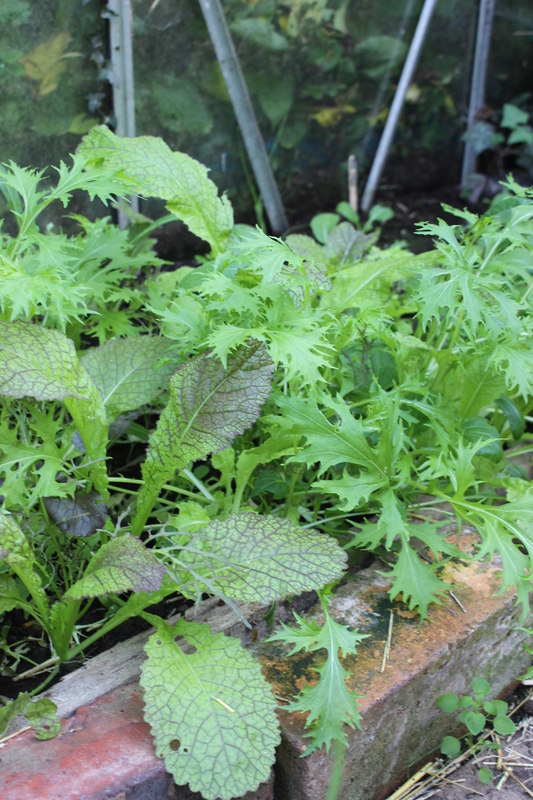 MAY – wild garlic, parsley, lettuce, radishes, lemon verbena, mange tout, mint, lovage, eggs, pea shoots. JUNE – Calendula, chives, beetroot stalks and leaves, onions, broad beans, basil, cucumber, nasturtiums, oregano, lettuce, raspberries, rocket, corn salad, eggs, rhubarb, strawberries, red/black/white currants, wild strawberries, gooseberries, cherries, spinach. JULY – Broad beans, spring onions, beetroot stalks and leaves, blueberries, red/black/white currants, gooseberries, new potatoes, welsh onions, runner beans, eggs. 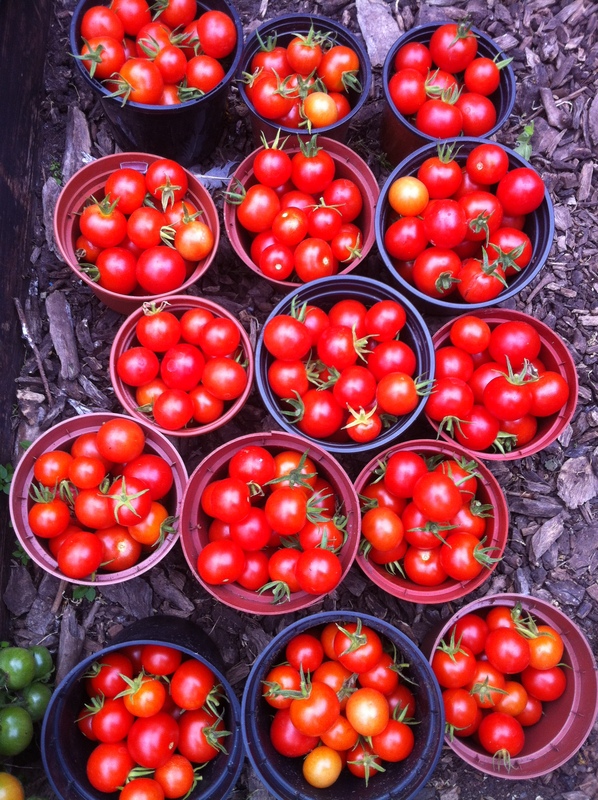 AUGUST – Runner beans, plums, tomatoes, chilis, figs, cucumber, courgettes, parsley, celery, purple beans, black and yellow toms, eggs. SEPTEMBER – Figs, beetroots, courgettes, tomatoes, purple beans, blackberries, cooking apples, eating apples, raspberries, grapes, eggs, peppers, chilis, runner beans. 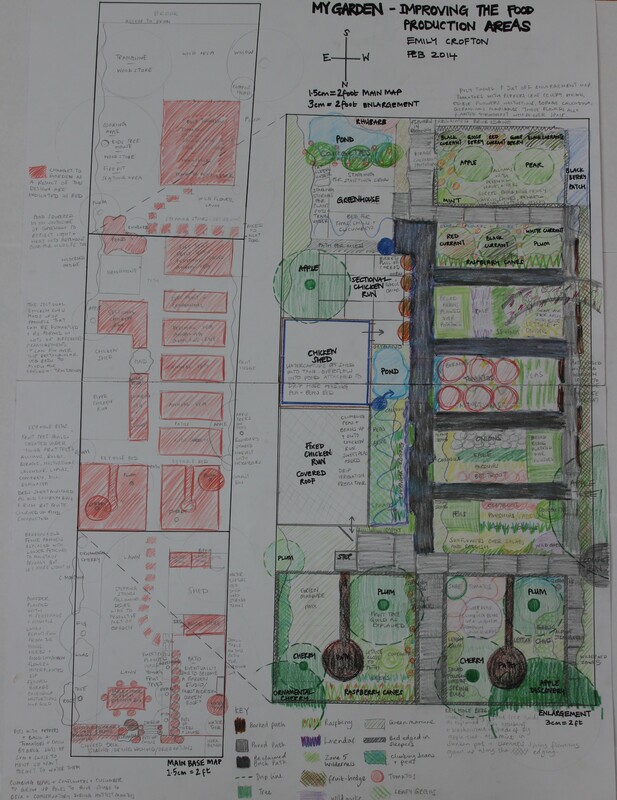 So in conclusion, my design was a great start to re-vamping the food growing areas in my garden. I have learnt a lot from this first year. All the record keeping has been manageable, enjoyable and a useful resource for me to refer back to in planning my tweaks to this design for my garden plans for 2015. This entry was posted in Uncategorized and tagged design tools, food choices, food from my garden, Garden diary, My garden design, Permaculture, Permaculture Diploma, PNI by emilycrofton. Bookmark the permalink. Great reflection! And you got a good range of produce – especially for a first year. I’m developing as much of a forest garden as I can, though my garden is small. Amazing how much you can grow in small spaces, though. It felt good to be harvesting something to eat most days during the summer. I have a good idea now of what works and what doesn’t, so hopefully next year will be even more productive. Going on my experience, yes it will! This is really good and helpful. I am new to permaculture gardening, your design is useful and it encouraged me to get going again, and to do a reflexion of what I did in the past season also. Thanks for inspiration. Thanks so much! I am learning to enjoy and honour the entire process, from planning to action to reflection. It is all so important and the real learning comes from completing the cycle. Enjoy your reflection. Thanks for visiting my blog, and please do pop by again! Wow! This was clearly a lot of work and a great idea for year-by-year improvement. I particularly love the design. Nicely done!